Digital Debate: Is social media destroying social skills? The California Writing Project, a national partner of Digital Learning Day, utilized Google Hangouts to hold digital debates between students about issues in their schools, communities, and across California. Check out the first Digital Debate about social media in the video above. Cary Zierenberg’s eighth grade students from Natomas Charter School’s Leading Edge Academy and Sean Young’s students from Pleasanton Middle School chose to debate Topic #1: Social Media— Is social media destroying our social skills? The students and teachers are considering developing their own debate topics and taking each other on again later in the semester. During Speak Up 2014, 46% of high schools students said they use Twitter – this is four times more users than in 2011 when only 11% of students were tweeting. 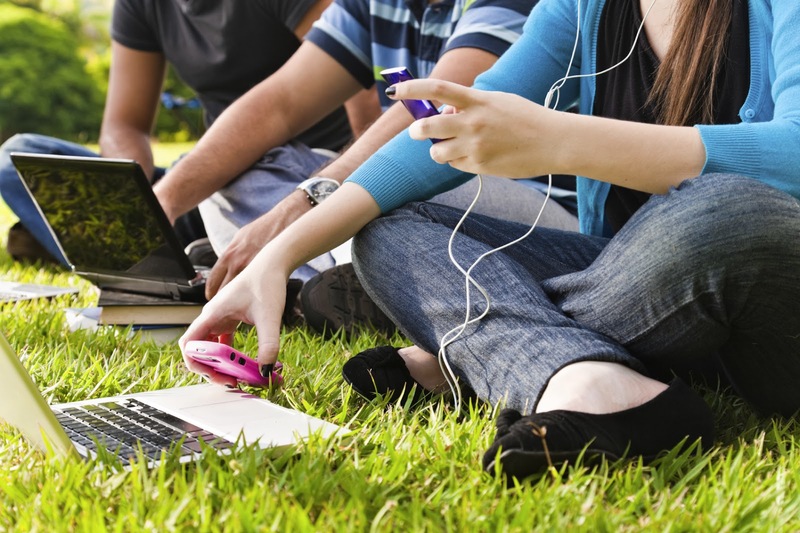 Do you think social media is destroying students’ social skills? Why or why not? Let us know in the comments! To learn more about the California Writing Project, visit their website. Click here if you are interested in learning more about their Digital Debates. The 40-year-old California Writing Project is a network of sixteen regional sites, nine housed on University of California campuses and eight on California State University campuses. Every year, over 20,000 teachers participate in CWP campus, school, and district programs. These teachers, representing all grade levels, from kindergarten through university, often teach in disciplines other than English. The project also provides programs that serve administrators, paraprofessionals, students, and parents.The California Writing Project has a central mission: to improve student writing and learning by improving the teaching of writing. By having successful teachers of writing teach their colleagues, CWP is able to conduct significant numbers of programs each year, ranging from 1900-2300 programs. This entry was posted in Speak Up and tagged California Writing Project, Digital Debate, Digital Learning Day, Google Hangouts, social media, speak up 2014 on March 17, 2015 by Lisa Chu. 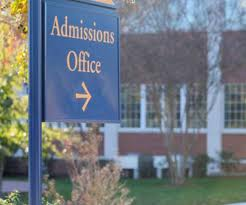 As college acceptances become more competitive, it is no surprise that high school students are taking extra precautions in ensuring a spot at their desired schools. Besides dealing with academics, extracurricular activities, and community service hours, students are now worried about how they appear on the Internet. At Bowdoin College, admissions officers turned down a student not just because of her grades, but also because of rude comments found on her Twitter account. “We would have wondered about the judgment of someone who spends their time on their mobile phone and makes such awful remarks,” Scott A. Meiklejohn, the school’s dean of admissions, stated. Most colleges don’t have formal policies regarding researching students online; out of almost four hundred college admission officers, thirty-one percent admitted they visited an applicant’s social media page to learn more about them. While this number may seem low, it is a five percent increase from last year. Although most admissions officers prohibit the use of students’ personal websites during the admissions process, students should still be aware of what they post online. High school guidance counselors are now giving students lessons in cleaning up their digital identities; at Brookline High School, students are taught to delete alcohol-related posts and to create acceptable email addresses. Some students are already practicing what they learn from these lessons by untagging themselves in pictures and even by deleting their social media accounts all together. As admissions officers become more technology-savvy, students should be more careful about what they post online if they want to play it safe when it comes to college acceptances. To learn more about this topic, read Natasha Singer’s articles “In College Admissions, Social Media Can Be a Double-Edged Sword”/”They Loved Your GPA, Then They Saw Your Tweets” in The New York Times. This year, our Speak Up Surveys will ask questions related to a student’s digital footprint. Speak Up Surveys are free, and schools and districts can receive access to their school and/or district’s data in February 2014. Results regarding a student population’s digital footprint will also be apart of that data. Surveys are open to anyone interested in having a voice on critical education and technology trends. Go to www.speakup4schools.org/speakup2013 to take the survey today. Surveys open to students, parents, educators and community members! Interested in participating in this year’s Speak Up surveys but want to learn more about it? Now’s your chance! Join Julie Evans CEO, Project Tomorrow for a 45 minute recorded webinar to learn about key Speak Up findings from last year – and how your school or district can participate in Speak Up this year. View the recording via Blackboard Collaborate here: http://bit.ly/SUWebinarRecording. This entry was posted in Speak Up and tagged college admissions, digital footprint, Lisa Chu, social media, speak up question, The New York Times on November 14, 2013 by Project Tomorrow. California Governor Jerry Brown recently approved a law that will give minors the freedom to delete information that may be harmful to their reputation on social media sites. The law, which was signed on Monday, September 23rd, has been praised by some and criticized by others. Those who are for the law believe it will help minors avoid receiving a bad reputation that may be harmful in their academic, personal, and professional pursuits based on ill-conceived postings. Others opposing the law believe it is a slippery slope that could lead to more restrictions as to what should be removed from the Internet, leading to Internet censoring. What are your thoughts on the new law? Read more about it in The Los Angeles Times here. Speak Up Surveys are free, and schools and districts can receive access to their school and/or district’s data in February 2014. Results regarding a student population’s digital footprint will also be apart of that data. Speak Up opens on October 2nd, and will run through December 20th. Questions about Speak Up? E-mail SpeakUp@tomorrow.org. This entry was posted in Speak Up and tagged digital footprint, Julie Evans, K-12 education, social media, Speak Up, Speak Up 2013 on September 27, 2013 by project_tomorrow. By now, we’re all aware of the power of social media. It can be a source of good in a variety ways, from being a guide to new information, to being a powerful globally-recognized social organizing tool. But sometimes social media can be a source of disruption….for school districts. Recently, the Los Angeles Unified School District’s bulletin regarding their standards for social media use of their employees, including of their teachers and educators, has come under attack by some, and has been praised by others. hours may be subject to discipline. child’s parent/legal guardian and the principal. To read the full bulletin, click here. Do you agree with the district’s stance? Do you think these policies will help to create a more peaceful environment for all involved? Does your district have similar policies? To learn more about this issue, read the articles surrounding it in The Huffington Post and LA Weekly. Don’t forget to vote for Julie Evans’ panel (Project Tomorrow’s CEO) at the SXSWEdu conference! Click the webtile below for more information. Register for Speak Up 2013 before the long weekend ahead! Have a great Labor Day weekend! Enjoy! This entry was posted in Speak Up and tagged Julie Evans, la unified school district, Project Tomorrow, social media, Speak Up, Speak Up 2013, SXSWedu on August 30, 2013 by Project Tomorrow.